A triskelion is a symbol with three legs or lines extending from the center. It is very prominent in the Celtic world and is featured on the flag, coat of arms and nearly everything else on the Isle of Man. On the coat of arms, the Latin motto translates as “Wherever you throw it, it will stand” which seems to indicate that the triskelion symbol represents stability. In fact it has numerous meanings ranging from the Trinity to things like morning, noon and night, yesterday, today, tomorrow, and so on. The island of Sicily also features a triskelion with the head of the Medusa on it. I’m sure that it has a different meaning. 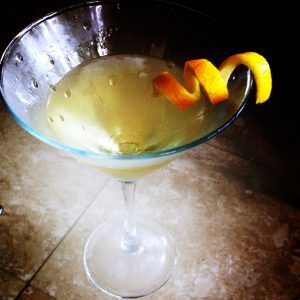 So now I will introduce to you the Triskelion Cocktail. It is named as such because I tried to create something with 3 ingredients, 1 each from England, Ireland and Scotland. 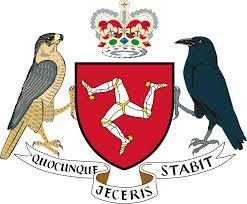 The reason should be obvious as the Isle of Man lies quite equidistant to all three. And the results are- a very strong drink, which may not contribute to stability. In fact, I actually shattered my phone while trying to take a picture of it. But I liked it, so if you are brave, mix one up and enjoy. As you do so, you could listen to some Barrule, or even some Bee Gees, as all three brothers Gibb were born in Douglas on the Isle of Man. Or, if you enjoy historical romance novels, check out the Islander Series by Margaret Evans Porter. They take place on the Isle of Man. If you check out her Isle of Man page, there is a delicious and super easy Manx scallop recipe which we thought was delicious. 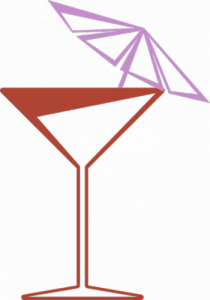 Here is the recipe for my Martini of Man – the Triskelion. Mix together with ice in a cocktail shaker.Strain into cocktail glass and garnish with an orange or lemon twist.